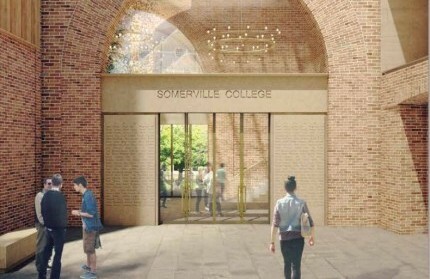 In addition to securing more scholarships and fellowships, Somerville has ambitious plans for a new building to house the Oxford India Centre for Sustainable Development. It will be located on Oxford University's Radcliffe Observatory Quarter, opposite the new Blavatnik School of Government. As well as providing world-class research facilities, the building will include significant public space: it will include a theatre, high-tech conference facilities, an exhibition space and a space for performances or rehearsals.